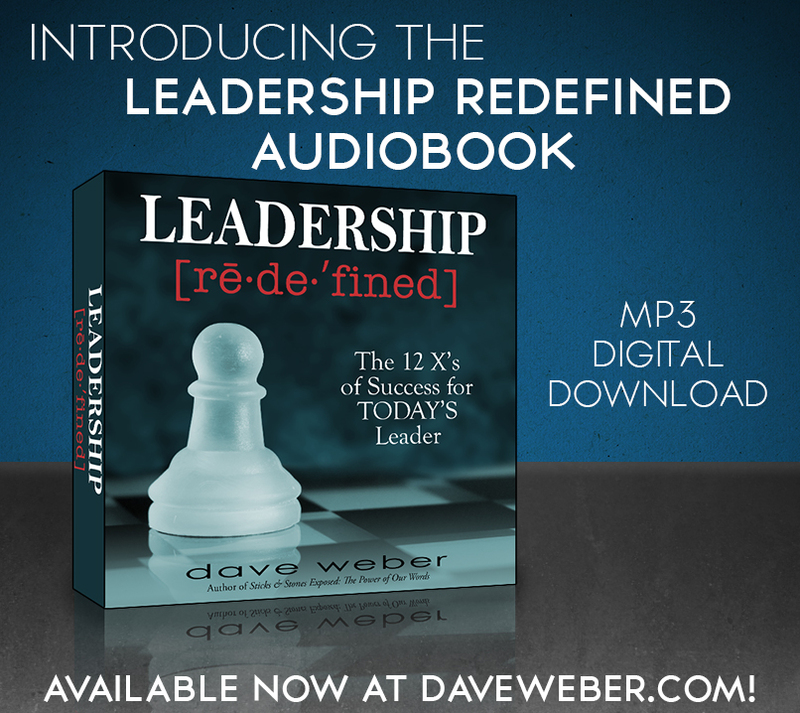 I am pleased to announce that the Leadership Redefined Audiobook is now available for download! Thousands of people across the country have read and been practicing the principles in my latest book Leadership Redefined: The 12X’s of Success for TODAY’S Leader. If you have been holding out because you are always on the go and just don’t have time to read a book…good news, now you can listen to it wherever your day takes you! This 5 hour, unabridged audiobook is read by yours truly and is sure to inspire and motivate you, regardless of if you see yourself as a leader or not. You see, a leader is anyone who has influence…and that means you really are a leader! Join with thousands around the country as we aim to redefine leadership across the board! Get your copy of Leadership Redefined as a book, and now as an audiobook, and Lead Well! This entry was posted in Leadership Redefined and tagged 12 X's, Leadership, Leadership Redefined, Listening, Products on August 23, 2013 by Dave Weber. 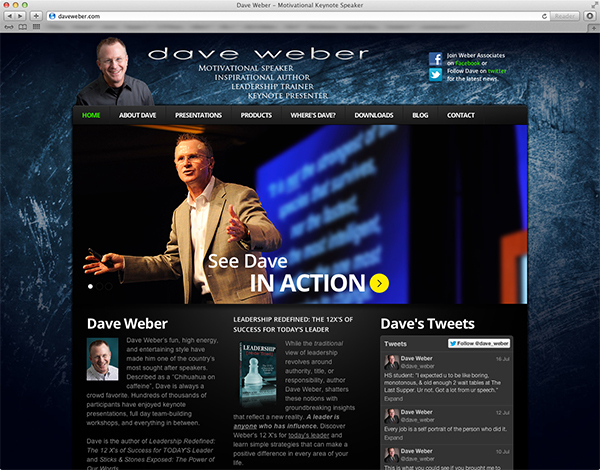 This entry was posted in dave weber and tagged Products on July 18, 2013 by Dave Weber. A leader is anyone who has influence. Take a look at any group of kindergartners on the playground. Not one of those little stinkers has a title, but there is definitely someone in charge, influencing what’s going on. While most people traditionally look to the top of an organization or department for leadership (in theory, that is! ), the highest performing groups in companies, schools, clubs, or sports teams have members who demonstrate leadership at every level. These “leaders without the title” have latched on to the profound reality that because they have influence, THEY LEAD. Discover Weber’s 12 X’s for today’s leader and learn simple strategies that can make a positive difference in every area of your life. 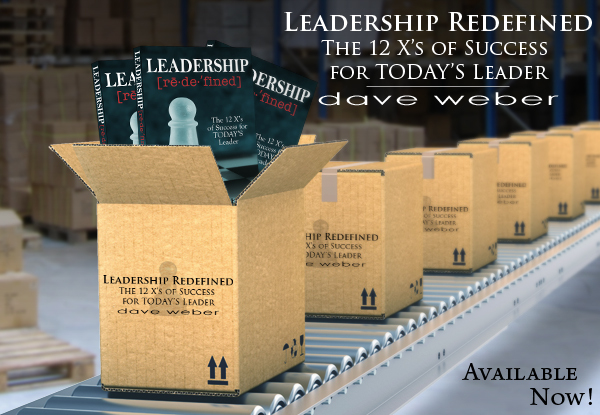 Leadership Redefined: The 12 X’s of Success for TODAY’S Leader is Now Available! To get your copy or to read chapter 1, check out LeadershipRedefined.net. This entry was posted in Leadership Redefined and tagged 12 X's, Leadership, Leadership Redefined, Products on July 9, 2012 by Dave Weber. 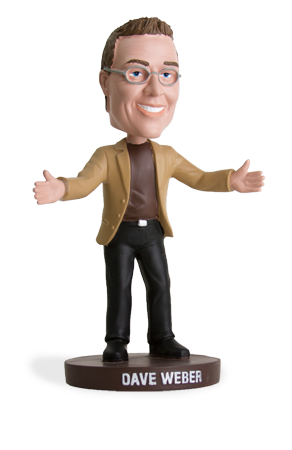 I have my own Bobble Head now! Be one of the first to get one! This entry was posted in Uncategorized and tagged Products on November 22, 2010 by Dave Weber.